Maria Lisitsyna, Central Asia researcher at HRW: «Today’s session in Geneva is a golden opportunity for Turkmenistan’s leadership to show it is ready to make a genuine commitment to reform. The countless victims of human rights abuse in Turkmenistan deserve nothing less». The Turkmen government should use the opportunity of today's UN review of its record on human rights to commit to a genuine reform agenda, Human Rights Watch said today. March 19, 2009 is Turkmenistan's final session before the United Nations' global rights body, the Human Rights Council, under its Universal Periodic Review (UPR) procedure in Geneva. Human Rights Watch urged the Turkmen leadership to demonstrate the political will to improve its abysmal rights record by accepting and then carrying out all recommendations made during the review. At the conclusion of the initial session in December 2008, the government rejected a number of key recommendations, including that it release political prisoners, undertake a transparent nationwide review of all past cases of political imprisonment, and lift arbitrary travel bans on human rights defenders. Turkmenistan is one of the most repressive countries in the world. It is closed to independent human rights monitors, including Human Rights Watch, which has been unable to get into the country for 10 years. The UN special rapporteur on freedom of religion was the first and only UN monitor to visit the country, in September 2008, but the government has refused to grant the required invitations to nine other special rapporteurs, despite their longstanding requests for access. Independent civil society activists and journalists cannot work freely in Turkmenistan. The Turkmen government continues to threaten those who question its policies, however modestly. It is only through the UN and other external mechanisms that its human rights practices can be effectively scrutinized with a view to seeing them addressed. 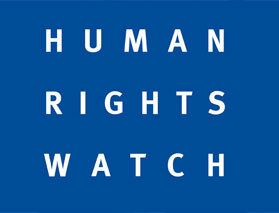 Human Rights Watch also called on Turkmenistan's international partners, in particular European Union member states and the United States, to advance the recommendations of the UN review as part of their dialogues with Ashgabad, and overall to press the Turkmen leadership for concrete human rights improvements. During the review session in December 2008, the Turkmen government accepted several recommendations. It said that it would take steps to end harassment and intimidation of journalists, ensure freedom of worship for all religious communities, and allow nongovernmental organizations (NGOs) to register and work freely. But it said that it would only «consider» such crucial recommendations as granting access to the country for all UN monitors who have requested an invitation, allowing the International Committee of the Red Cross and other independent monitors access to places of detention, preventing torture in detention, protecting human rights defenders from persecution, and ending restrictions on the media. Since the December review, the Turkmen government has not taken steps to carry out any of the recommendations. In a written statement in February 2009, responding to the report following the December review, it only cited programs, reports, and legislation. But it does not address the core concerns expressed during the review by indicating any measures it is taking to end repression and human rights abuse. Earlier this month, Human Rights Watch sent a letter to the president of Turkmenistan, Gurbanguly Berdymukhamedov, urging him to heed the recommendations from the UN review and to take immediate action to rectify the country's most pressing human rights problems. — Lift informal travel bans imposed on activists and relatives of opposition members, and dismantle the system that allows for government interference with residents' ability to leave and return to Turkmenistan. — Carry out the recommendations of the UN special rapporteur on freedom of religion or belief, the UN Human Rights Committee and other international human rights monitoring mechanisms.